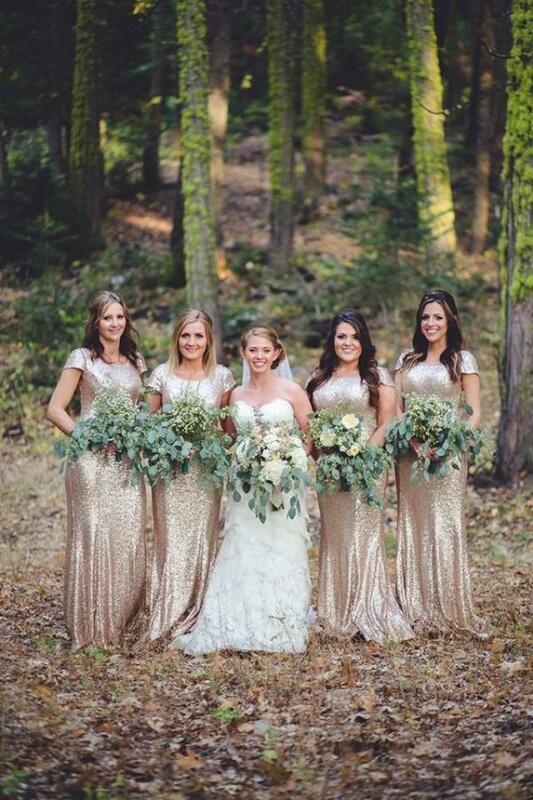 Fitting in with the gold colour scheme throughout as well as ‘black tie’ theme- gold sequin Bridesmaid dresses will fit in just perfectly and add extra sparkle to the day. Julia’s Bridesmaids have all seen the dress style that Julia has in mind and they are all fans of the stunning gowns- as are we here at Bellissimo. Julia’s idea for her bridal party is to have them in different dresses but in similar colours and shades. We adore the 20’s/Gatsby style of some of the below dresses!